Pretty much every conversation I've ever had with Ben Vandgrift has involved him saying something profound or insightful. I think this episode of the podcast was no exception, as we talked about Ben's experience as a relative newcomer to Clojure, and he had some constructive (and slightly painful) feedback for the Clojure community. 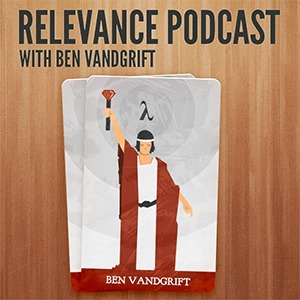 We also got to talk about (inc Relevance), the quarterly gathering of Relevance employees, which Ben spearheads. I hope you enjoy the show! You can send feedback about the show to podcast@thinkrelevance.com, or leave a comment here on the blog. Thanks for listening! Ben chose "Beat on the Brat" by The Ramones as the intro, and "I Wanna be Sedated" by The Ramones to end the show.